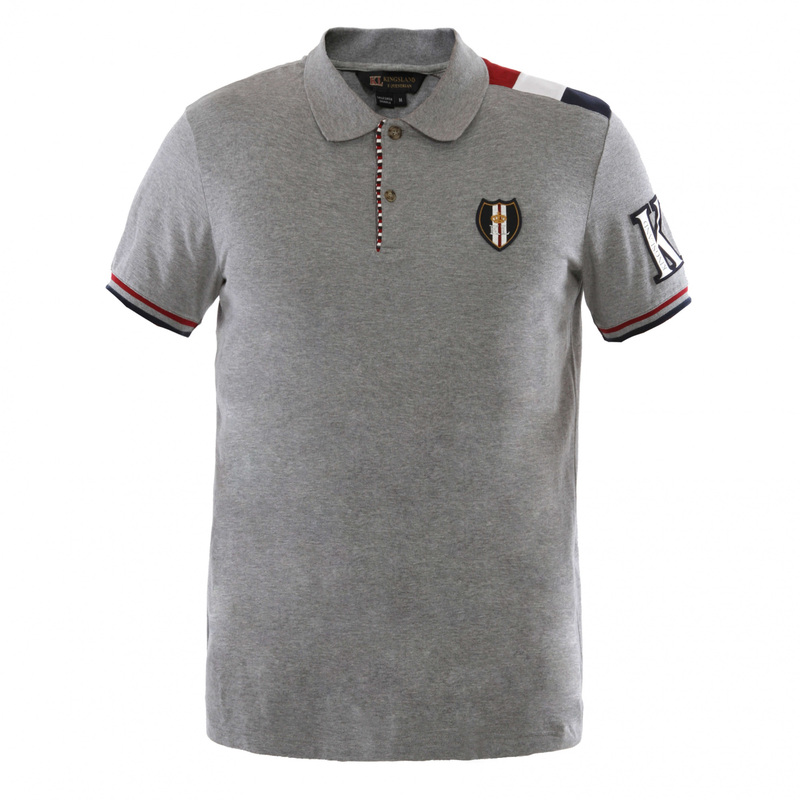 Men's polo shirt with short sleeves and collar, buttoned. Contrast stripes on the sleeves. Same stripes on the shoulder too. 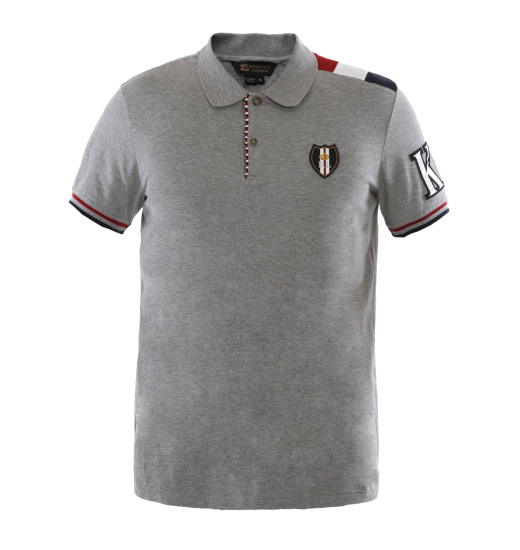 On the chest Kingsland logo embroidery. KL inscription on the shoulder.